Alappuzha, 11th September 2017: Pathanamthitta boys defeated Thrissur, 59-43, while in the girls’ division, Ernakulam dethroned reigning champions Thiruvananthapuram, 40-33, to take home the title of the Laurel School International 44th Edition of Kerala State Sub Junior Basketball Championship for boys and girls at the Jyothinikethan Public school floodlit basketball ground organised by Alappuzha District Basketball Association under the aegis of Kerala Basketball Association. In the boys’ division, it was the maiden title for Pathanamthitta who reached the finals after 10 years to defeat Thrissur 59-43. Jordan Cherian got the rebounds and was also the top scorer for the team with 15 points, Jermy Sebastian scored 13 points and George K Rajeev scored 12 points. For Thrissur, Rinil CK was the leading scorer with 17 points and Athul contributed 10 points. In the girls’ division, Ernakulam defeated Thiruvananthapuram, 40-33. Abigail was the top scorer with 13 points, Alka came up with 12 points. Dona was the top scorer for Thiruvananthapuram with 12 points. 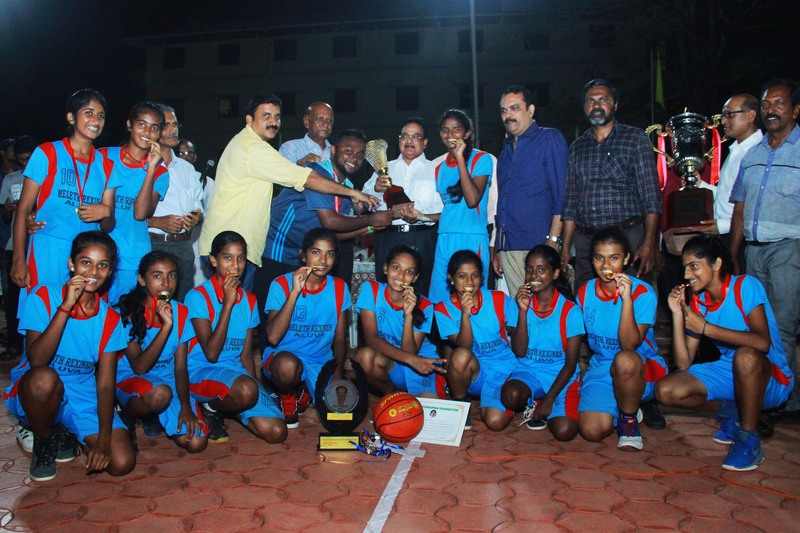 Kozhikode defeated Kottayam 24-12 to claim the bronze medal in girls’ division while in the boys’ division, host Alappuzha claimed the third spot defeating Kottayam 43-24. The ‘Best Player’ award in memory of P.S.Viswappan and CSH Award by Dr John M Chacko went to Jermy Sebastian from Pathanamthitta and Alka Redempta from Ernakulam respectively. The ‘Promising Player’ award went to Dona Ivan and Athul NA from Thiruvananthapuram. 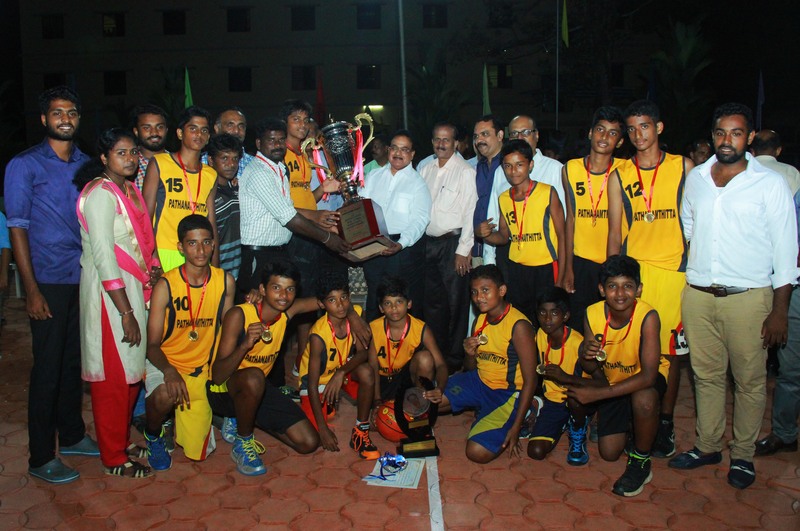 The trophies and mementoes were distributed by Sri John M Chacko, Chief Patron, Kerala Basketball Association.